The successor of Lava Iris X8 is now available online in India. Dubbed as Iris x9, the handset is now available for purchase at amazon.in for Rs. 10,700. 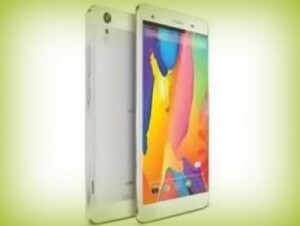 The handset is not yet listed on the official website. .
Ahmadabad: The new offering from Lava is Iris X9 and it comes with 5.5 inch display. Display resolution of this IPS LCD capacitive touchscreen is 720 x 1280 pixels and the pixel density is 267 ppi. The handset is powered by quad core processor whose clock speed is 1.3 GHz. The processor is paired with 2 GB RAM. It is provided with 16 GB internal storage and memory can be expanded up to 32 GB via micro SD. The handset comes equipped with 13 megapixel primary camera and there is also 8 megapixel front facing camera. It runs on Android 5.0 Lollipop operating system. Connectivity features of the handset include WiFi, 3G and Bluetooth. Other features include dual SIM, 3.5 mm headphones and accelerometer sensor. It comes packed with 2500 mAh battery. Lava Iris X9 is now available on amazon.in for Rs. 10,700. It is offered in white color. As per the listing of the online retailer, the product is in stock and will be delivered in two to four business days. The delivery charges vary from seller to seller. The handset is also receiving positive reviews from the customers for its light weight and good looks. Click here to buy. This entry was posted in Buy Gadgets, Launches, Tech on June 5, 2015 by Rakesh.